Halo City is a high-performance small folding electric power vehicle. 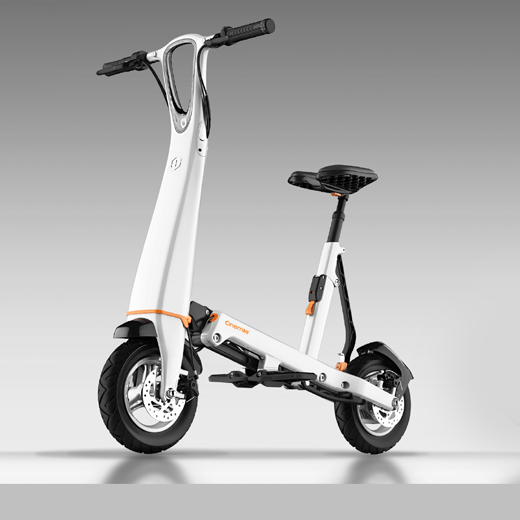 It combines advance production, craftsmanship, modern design and new materials, and will make users’ city life more colorful and diverse. In the market where similar low-end products are proliferating, the challenge was to produce a product to meet the real need of users and to solve the problems of traveling in the inner city. Halo City’s one-step folding footprint and perfect combination of 4+2 travel can satisfy any interlinks between city transportation, solve the last-mile problem for inner-city travel and make travel environmental, convenient and efficient. Designed by: Beijing Onemile Technology Co., Ltd.